After two tough defeats at Saratoga, Securitiz put in a resolute run to become a stakes winner on opening weekend at Belmont Park! The handsome dark bay was sent off as the second choice in the Seattle Slew Stakes with new rider Manny Franco aboard. The duo dropped back to last partway through the 1 1/8-mile affair, but Franco timed their rally to a “T”. Securitiz rallied late and stuck his nose out in front. Already stakes placed at four, Securitiz pushed his career earnings to over $260,000 with the victory. 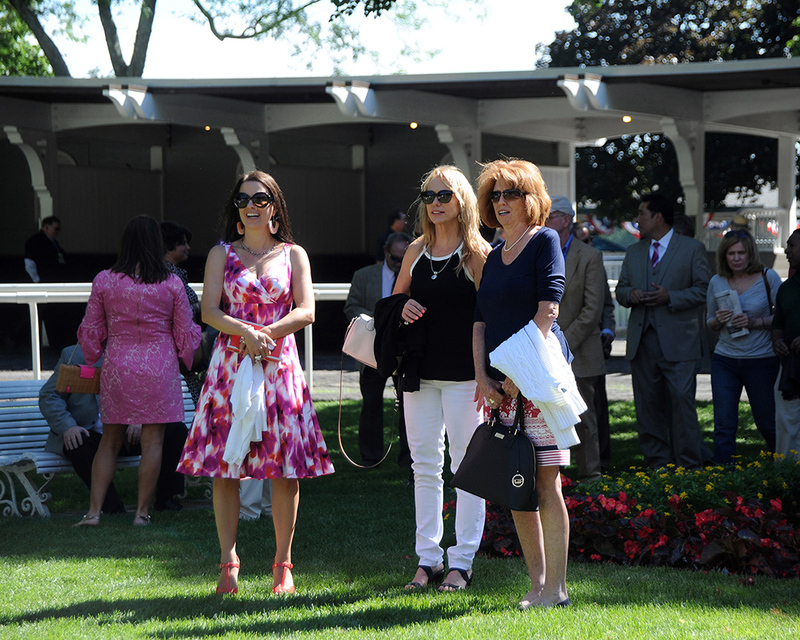 The full recap is available from NYRA. 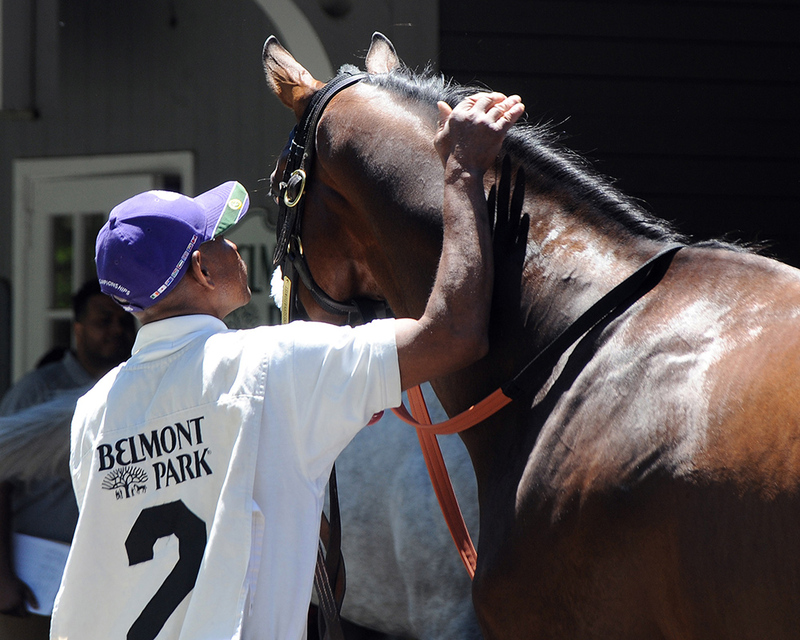 On-track victories aren’t the only way to win in thoroughbred racing. 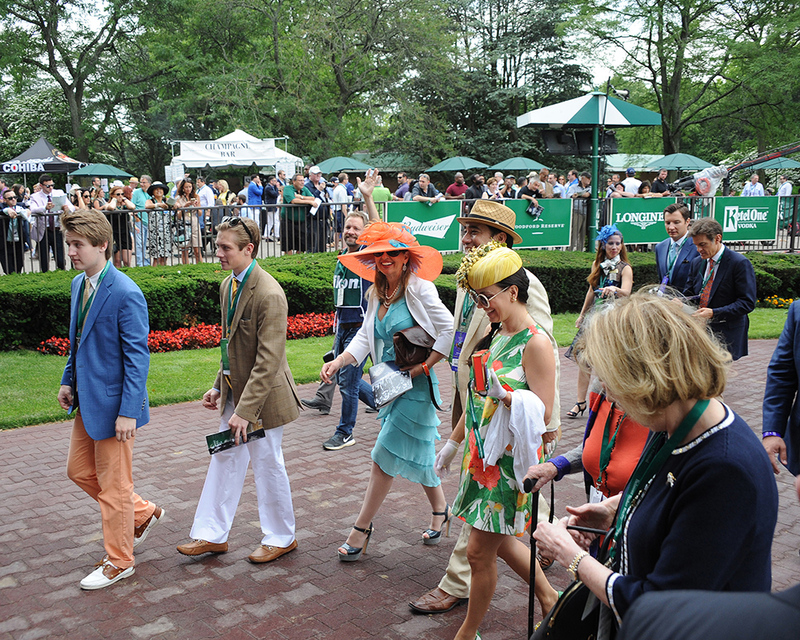 We sent forth a trio of horses in the Belmont Stakes Racing Festival and although none won, everyone who attended had a phenomenal time. Debuting Preservationist got the ball rolling, as his first race kicked off the Friday card at Belmont Park. The big colt finished a closing second to the more experienced Bombs Away, who was making his second career start. Preservationist’s massive gallop-out drew quite a bit of attention from those watching. Runner-up Preservationist is a runner as well. We will be hearing good things from both of the first two finishers going forward. 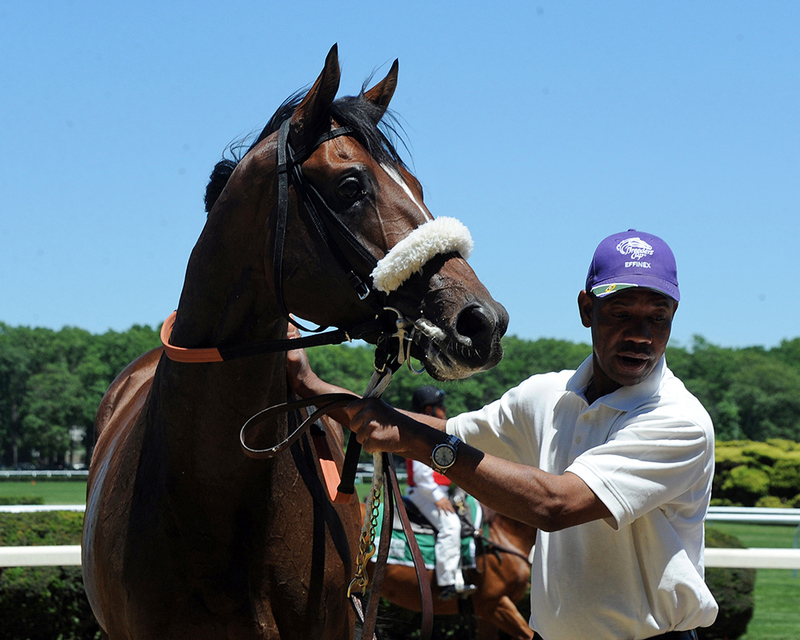 @Centennial_Farm Exceptional Debut for Preservationist. Sky’s the limit. Looks like a classic type. Still the next coming ! The form of highly regarded Bombs Away would go on to be further franked. Connect, another touted three-year-old who had defeated Bombs Away in their respective debuts, was an impressive allowance winner on the Belmont Stakes card. 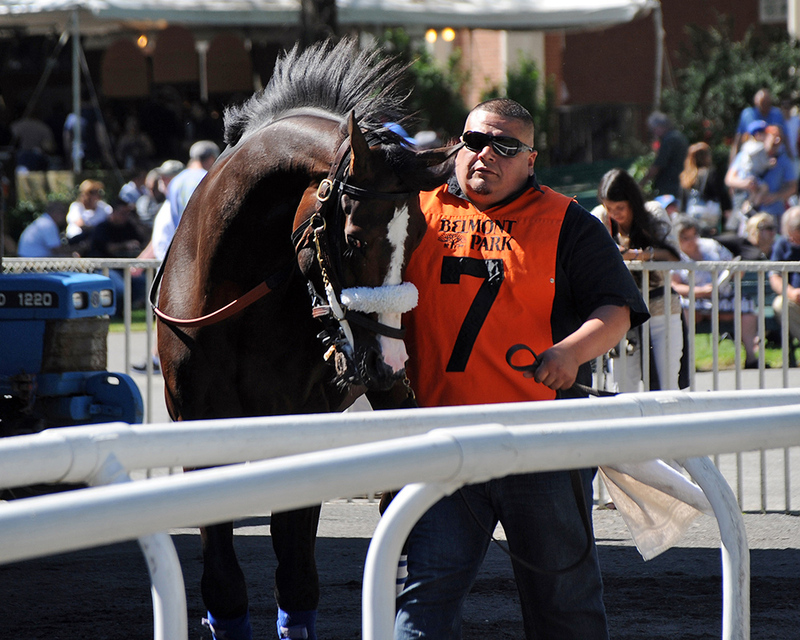 Later on Friday, Adulator made his first start since breaking his maiden at Aqueduct Racetrack in the spring. Unfortunately, the handsome bay stumbled repeatedly exiting the starting gate. While many horses would throw in the towel after such an inauspicious beginning, Adulator demonstrated quite a bit of heart, and ability, to rejoin contention before flattening out to fourth. 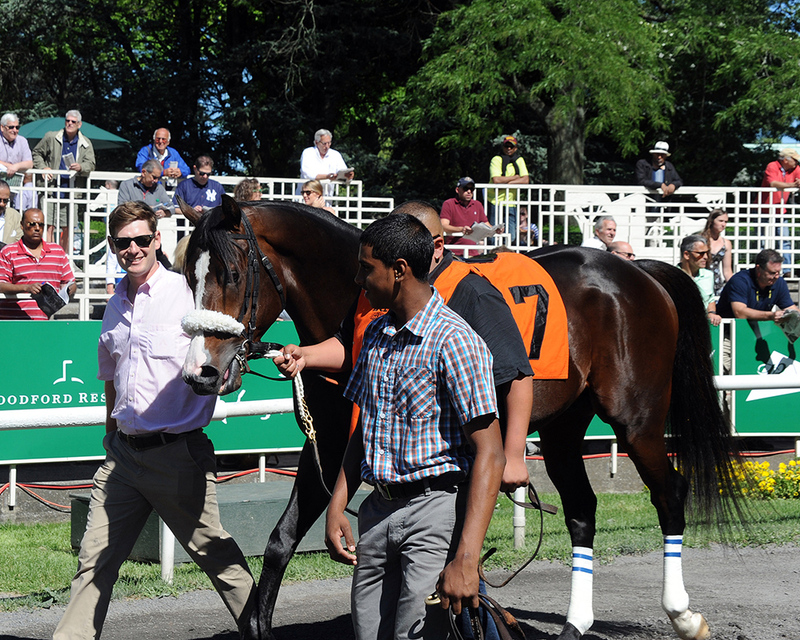 Our final starter of the prestigious week’s racing was Securitiz, who made his graded stakes debut in the G2 Brooklyn. A disadvantageous draw in the far outside post meant plenty of lost ground. In fact, Trakus data shows he covered more distance than all but one other horse in the field at a whopping 57 feet more than the winner. Despite that, the big step up on class, and the fairly quick turnaround, Securitiz put up a big performance. He missed second by less than 1 3/4 lengths while finishing fifth to his champion stablemate, the runaway winner Shaman Ghost. Three big on-track efforts left us plenty to be proud of as we enjoyed one of the year’s biggest cards of racing. 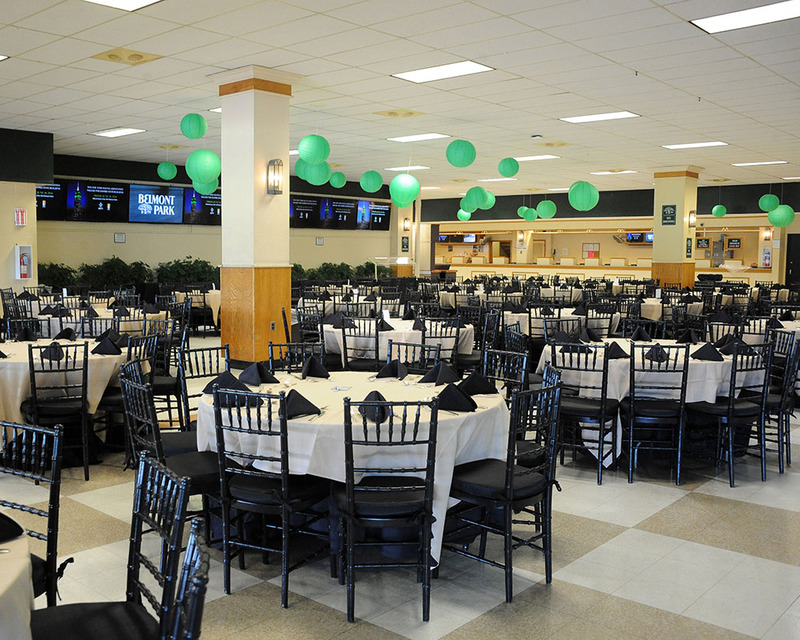 Based out of the exquisite Champagne Room, which offered exclusive access to the Clubhouse apron, family, friends, and partners came together to watch a world-class day. Check out some of the scenes of the day and get in touch if you want to make sure you’re there for the next go-around! Three-for-three. Sprinting. Routing. Fast. Muddy. Gulfstream. Aqueduct. Belmont. Is there a more exciting three-year-old, with more upwards potential, than Unified? The undefeated colt was dazzling again this weekend, stretching out to 1 1/8 miles for the first time in the G2 Peter Pan. 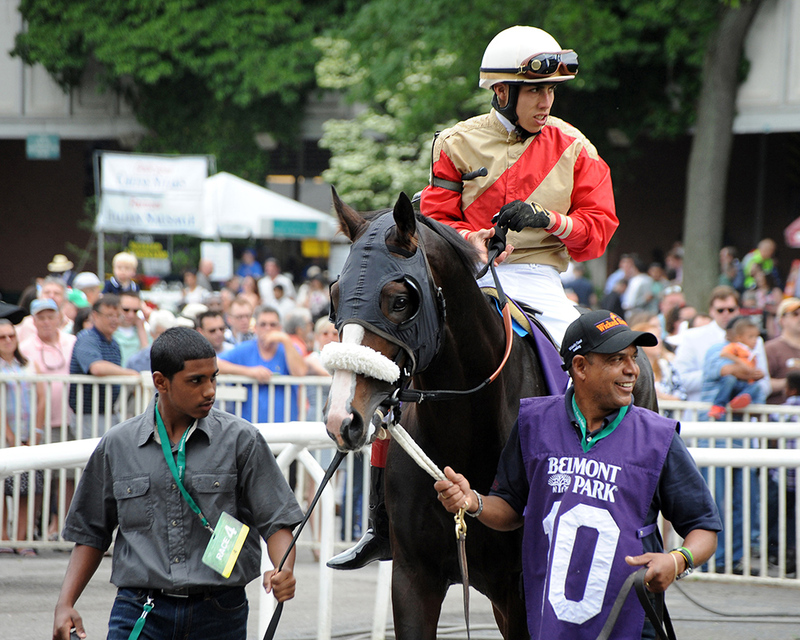 Unified, exiting a victory going 7 furlongs in the G3 Bay Shore, sat off the pace in his first attempt going long. “I thought he rated as good as you could expect for only having two races,” said Jimmy Jerkens after the race. “I was happy to see that. 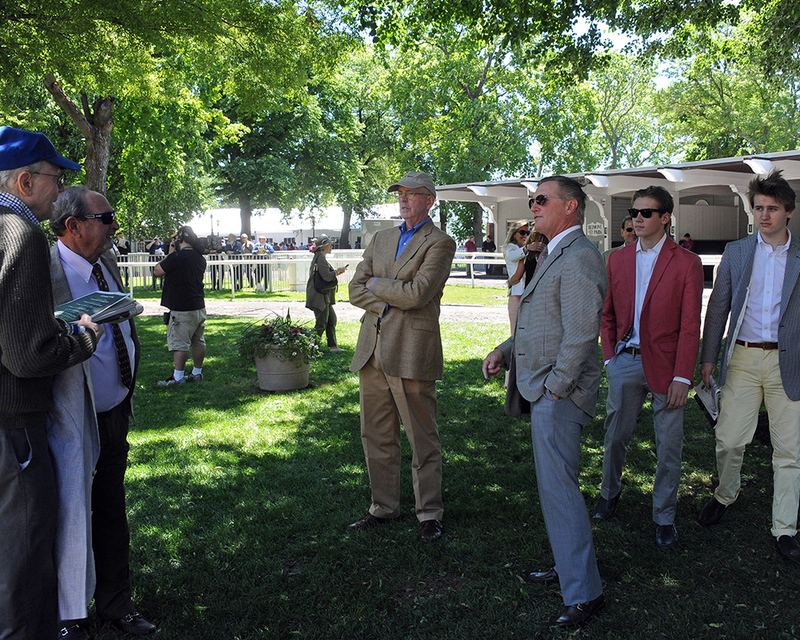 Jose [Ortiz] did a good job of keeping his hands down and keeping him out off the fence,” he added. It was an impressive display of professionalism for a lightly raced colt, who kicked clear down the stretch and held stakes winner, and possible Belmont Stakes contender, Governor Malibu at bay under the wire. The victory earned him a spot on the NTRA’s Top Three-Year-Old Poll and opened up a world of possibilities for the future. “He’s a talented horse, he always tries. I think he’s got the competitive spirit you want to see,” said Centennial President Don Little, Jr. after the victory. 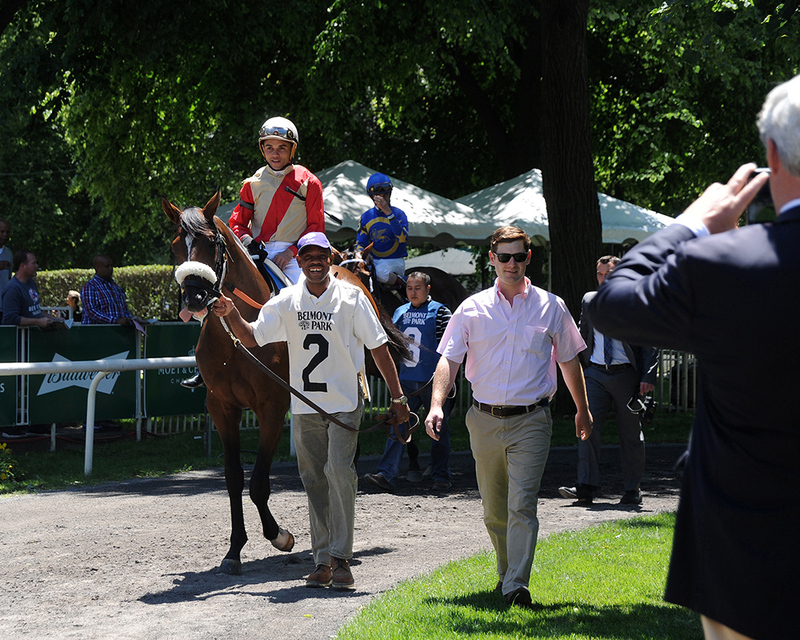 The Centennial Farms team was back in force the following afternoon as hard-trying Securitiz made his stakes debut. Exiting a February win at Gulfstream Park, Securitiz stretched out to 1 3/8 miles in the Flat Out Stakes. Facing a tough field, the four-year-old took over the lead, got passed, and re-rallied to narrow the gap on the winner under the line. His second place finish earned him lucrative black-type, designating a top three finish in an elite-level race. In fact, his effort means at least one member of the last three Centennial Farms crops to hit the races has earned that distinction. Plans for both Unified and Securitiz will be made in coming days as trainer Jimmy Jerkens and racing manager Dr. Stephen Carr evaluate their options. One thing is for certain – their futures look bright! Just four and a half months in to 2016, Centennial Farms has already exceeded last year’s total wins. 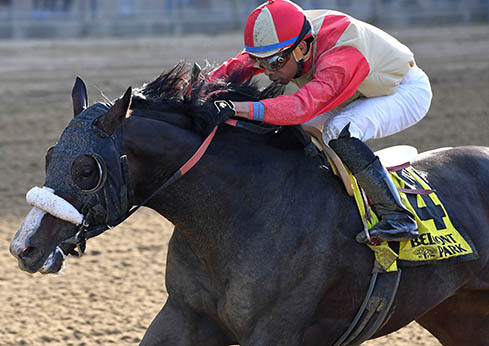 We’ll look to keep the success coming with a potentially big weekend coming up at Belmont Park where Unified and Securitiz tackle stakes company on Saturday and Sunday. Undefeated Unified, brilliant in two starts sprinting, has been installed as the 4-5 morning line favorite in the G2 Peter Pan Stakes. The 1 1/8 mile fixture represents his first attempt at a route distance. Stretching out from 7-furlongs is a big step for a lightly raced horse, but as Don Little, Jr. noted, “Every step that he’s taken has been a big step.” Unified has taken each one thus far with style. “He’s off to a good start, hopefully we can keep the train rolling a little bit,” Little said. Leading rider Jose Ortiz retains the mount following the duo’s successful partnership in the G3 Bay Shore at Aqueduct. 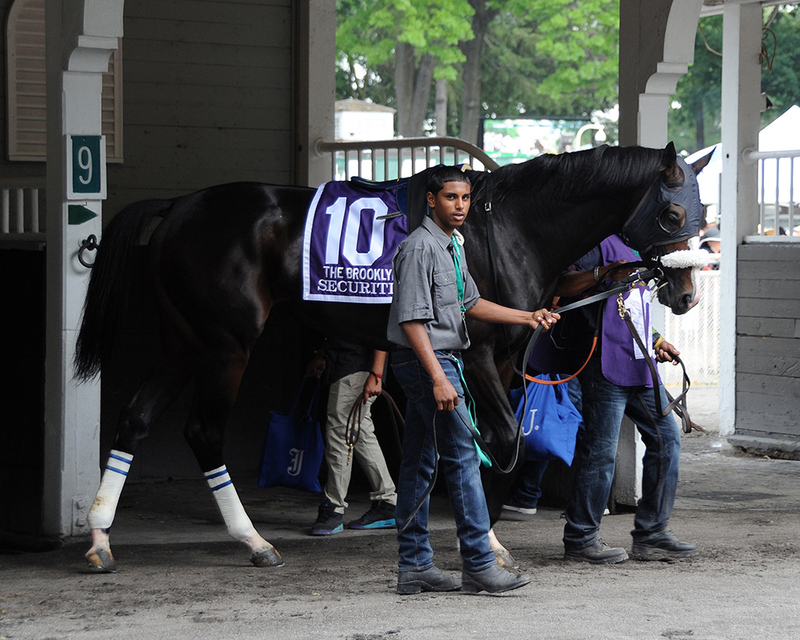 Securitiz makes his stakes debut in the inaugural edition of the Flat Out Stakes. A marathon at 1 3/8 miles, the race drew a small but tough group. Grade 1-placed stakes winner Elnaawi has been installed as the 8-5 morning line favorite. Securitiz, coming off a game victory at Gulfstream Park in February, is 8-1 with Joel Rosario board. The G2 Peter Pan goes as the ninth race of an eleven race card on Saturday at Belmont Park with a scheduled post time of 5:45. Sunday’s Flat Out is the featured eighth race on a nine race card to close out the racing week. Post time is 5:13. Both races can be streamed live on NYRA.com. 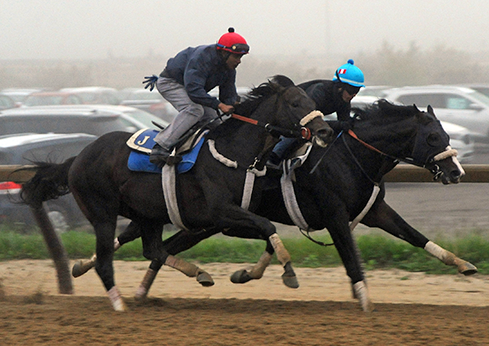 Securitiz (inside) and Unified (outside) breeze together on May 8 in preparation for their stakes engagements. 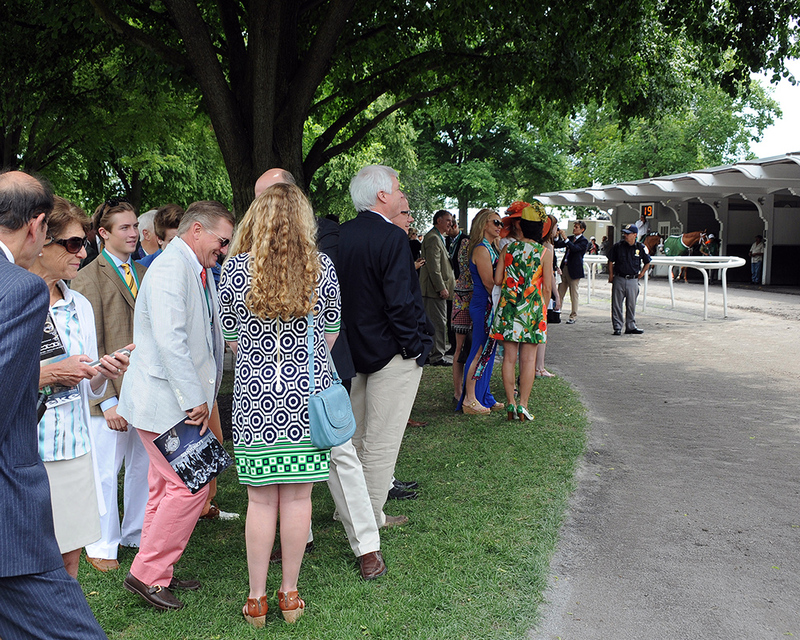 Don Little, Jr. discusses the weekend’s races, Juba, and more, beginning at the 1:27 mark. Sent off as the second choice in a tough field, Securitiz delivered with a gutsy performance to give Centennial Farms back-to-back wins at Gulfstream Park! 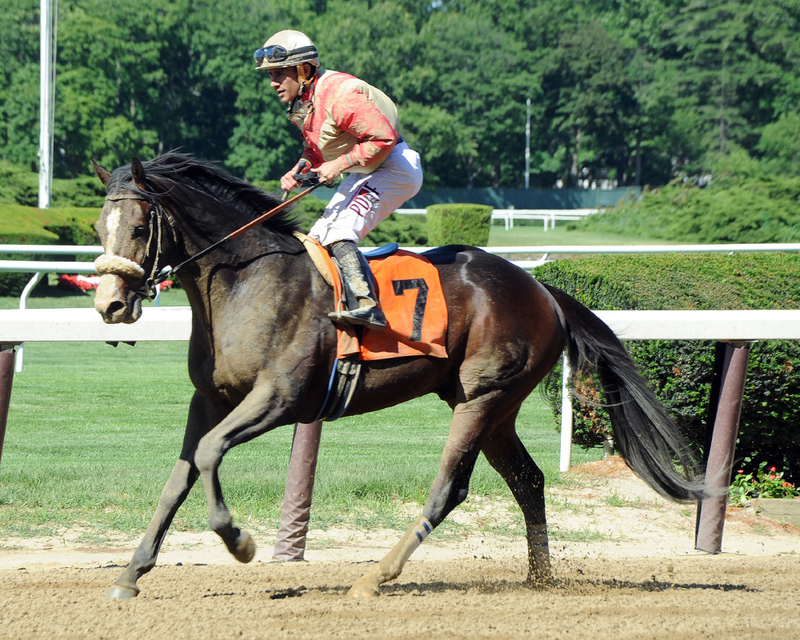 The four-year-old raced wide while sitting just off the pace under jockey Javier Castellano. A resolute drive down the stretch put him ahead of the field, which included highly regarded Cowboy Rhythm. The improving four-year-old now has two victories from eight lifetime starts, including two of his last four, and over $100,000 in career earnings. The victory was the second on the week for Centennial Farms and training Jimmy Jerkens following the impressive debut win by Unified on Sunday. The Centennial Acquisition Team worked diligently to comprise a “keeper” list of twelve colts for the 2013 September Keeneland Yearling Sale. All these individuals met our strict conformation requirements. While bidding was highly competitive, we were able to secure three top prospects during the first session on Monday ranking Centennial among the top ten buyers. These colts are represented by some of the most well respected stallions in the thoroughbred world today: Dynaformer, Tapit and Tiznow. Following the sale closely, the remaining colts on our list sold well above our price range with three of the nine selling for over $1,000,000. 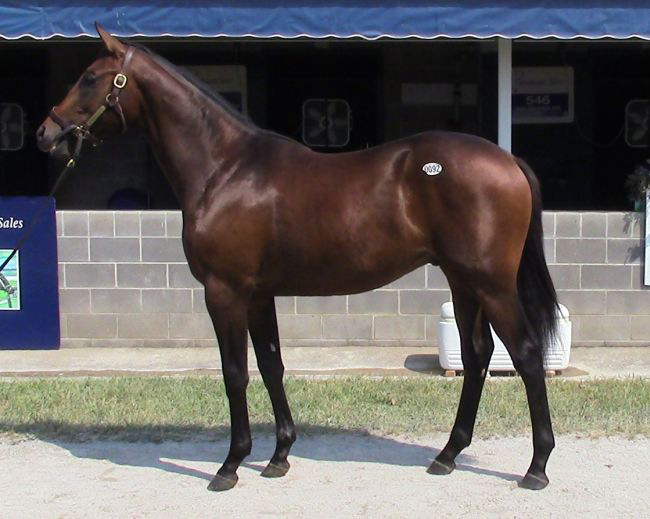 After looking at all results over the first four day we feel that we were able to get great value and the new Keeneland format of combining books one and two worked in our favor.